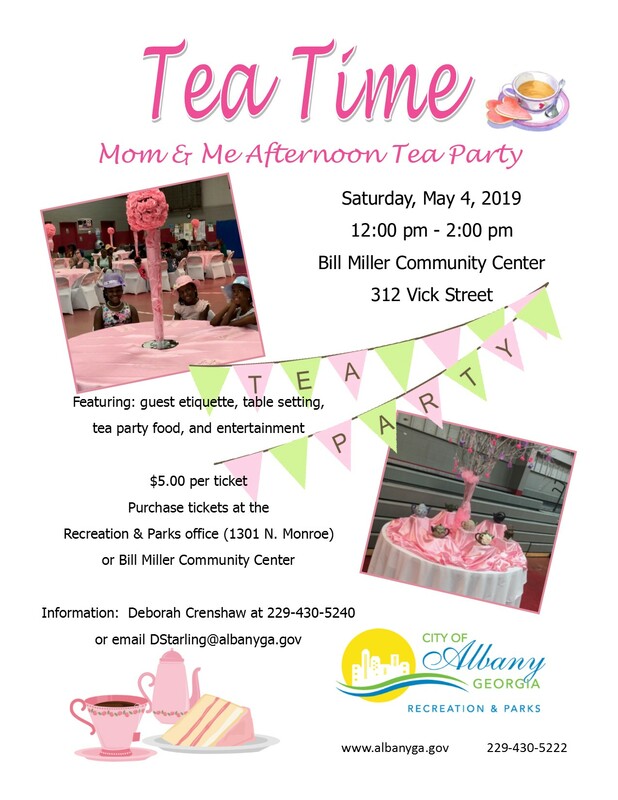 Albany Parks & Recreation presents Tea Time: Mom and Me Tea Party! From 12PM-2PM, come experience guest etiquette, table setting, tea party food and entertainment! This event is only $5 per ticket. You can purchase tickets at the Recreation and Parks office (1301 N. Monroe) or Bill Miller Community Center.